Carl Woese was obsessed with truth. He wanted to discover if all life on Earth had evolved from a single common ancestor. In addition to answering his own question, he redrew the tree of life. Scientists believed there were only two fundamental types of organism: bacteria, and everything else. Woese discovered there was a third form – the Archaea. Most biologists did not take his claim seriously. Some ridiculed him, most distanced themselves from him. After over a decade of controversy and frustration, his discovery became mainstream science. Before his groundbreaking work, scientists believed all species Woese classed as archaea were actually bacteria. 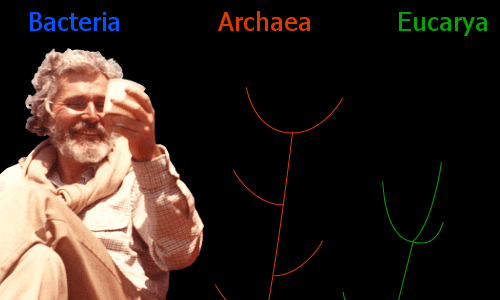 Woese proved the Archaea’s evolutionary pathway was more aligned with plants and animals than bacteria. Unlike larger creatures such as fish or dinosaurs, scientists had never been able to confidently describe the evolutionary history of microbes. Woese’s pioneering methods opened the door to this, revolutionizing biology, allowing all forms of life to be included in the study of evolution. Prokarya: made up of organisms, such as bacteria, whose cells do not have a nucleus. Eukarya: made up of organisms, such as plants and animals, whose cells have a nucleus. Woese invented a revolutionary new genetic technique to study the evolutionary history of cells. He looked at ribosomal RNA (rRNA). Ribosomal RNA is found in all organisms. It is a simpler molecule than DNA. Woese believed rRNA was probably one of the most ancient nucleic acids. Woese studied the genes of a large number of organisms. In 1977, Woese published work showing that methane-producing microbes are not bacteria, but belong to an entirely new, third domain of life. Woese called this third domain the Archaea (pronounced ar-KEY-a), meaning ancient. 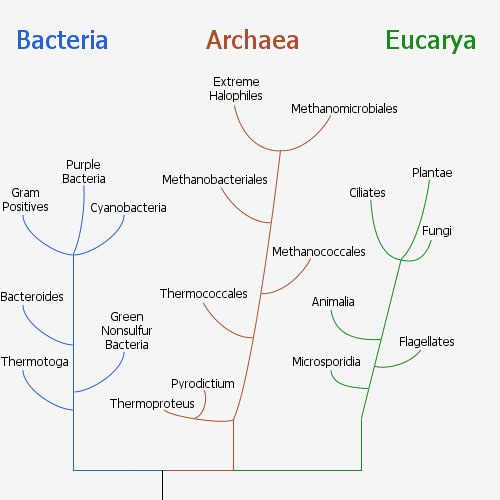 Woese drew a new tree of life, emphasizing fundamental evolutionary divisions between the three domains: Bacteria, Archaea, and Eucarya. The tree of life, featuring three fundamental paths taken by evolution. One path led to bacteria. The others to archaea and eukarya. Archaea have no nucleus and under the microscope look superficially like bacteria. But in terms of the evolutionary history written in their genes, Woese discovered that archaea are as different from bacteria as they are from eukarya (including you and me). Carl Richard Woese (pronounced woes) was born into a prosperous family in Syracuse, New York, USA on July 15, 1928. His father, Carl F. Woese, was a consulting engineer. His mother, Gertrude Nadler, was a homemaker. Carl had a younger sister, Donna. From childhood, Carl decided he wanted to be a scientist. His mind sought truth. Science seemed to offer the best route to truth – certainly more so than people, who he found were often untrustworthy. Carl grew up during the depression and World War 2. He attended a public high school, then went to a military school for a year. His final two years of high school were at Deerfield Academy, a prestigious private school in Massachusetts. He was an introverted student with an unorthodox sense of humor. After graduating from high school, Woese went to Amherst College, Massachusetts. He graduated in 1950, age 21, with a bachelor’s degree in Mathematics and Physics. Although at the time he had no scientific interest in biology, an Amherst professor advised Woese that the new, emerging field of biophysics might offer more exciting research possibilities than straight physics. Woese took the advice. In 1953, age 24, he graduated with a Ph.D. in Biophysics from Yale University. While working on his doctorate, Woese became fascinated by questions about the evolution of life. After two years studying Medicine at the University of Rochester, Woese returned to Yale for five years, where he researched bacteriophages – viruses that infect bacteria. He investigated the relationship between the genetic material of viruses and the bacteria they infect. Then came four years as a biophysicist with the General Electric Research Laboratory carrying out basic genetic research work. In 1963, Woese spent a few months carrying out gene research at the Pasteur Institute in Paris, France. In 1964, age 36, he made his final career move, to the University of Illinois at Urbana–Champaign’s Microbiology faculty, where he worked for over forty years. Classifying organisms has a long history. In the fourth century BC Aristotle placed animals in groups according to features they shared. He called each of these groups a genus, identifying 11. Aristotle was the first person to write that dolphins are not fish. Aristotle observed that, unlike fish, dolphins have lungs; moreover, dolphins give birth to live offspring nourished by milk from their mothers. Until the 1960s, biologists continued to follow Aristotle’s method, classifying lifeforms by their physical characteristics. In 1962, Linus Pauling and Emile Zuckerkandl introduced the concept of the molecular clock in their paper Molecular Disease, Evolution, and Genic Heterogeneity. This was a new approach to life and evolution. Next came their groundbreaking 1965 paper Molecules as Documents of Evolutionary History, looking at the possibility of using differences in RNA and DNA to organize the tree of life. They argued that the history of life is recorded in the molecules of life – RNA and DNA. They said the most accurate way to classify organisms would be to compare their RNA and DNA. Carl Woese was electrified by Pauling and Zuckerkandl’s ideas. If he could follow through on them, he realized there was a possibility he could answer his big question: did all life on Earth spring from a common ancestor? There was a problem, though. No experimental methods existed to answer the question. He would need to devise his own. RNA is a simpler molecule than DNA, making very difficult experiments somewhat easier. rRNA performs the same protein-building task in all organisms. Woese chose to study 16S rRNA, whose function has been constant over great spans of evolutionary time. 16S rRNA mutates only very slowly. 16S rRNA was probably an ancient molecule of life. Woese likened rRNA to an organism’s barcode, both identifying it and showing how it relates to other organisms. Beginning in 1966, Woese and his students spent a decade working with great dedication. Slowly and painstakingly they collected rRNA barcodes of a large number of organisms. Woese used a method – oligonucleotide cataloging – that he adapted from double Nobel Prize winner Frederick Sanger’s original method, making significant improvements. In 1975, Woese studied the rRNA of methanogens – methane-producing microbes – and saw something remarkable. The barcode of these microbes was markedly different from the 60 bacteria barcodes he had already compiled. Thinking he had probably made a mistake, he repeated the work. He got the same result. He now knew the methanogen microbes were not bacteria. In fact, they were a form of life different from all the others in the barcode catalog he had compiled. Carl Woese investigated the rRNA of methanogens such as these above. He discovered that although these organisms may superficially look like bacteria, they are not bacteria. Woese told NASA, which had funded the work, about his discovery. NASA called a press conference – Woese was not present at it – to announce the discovery, and on November 3, 1977, Woese’s discovery of a third fundamental category of life was splashed all over the world’s newspaper front-pages. Biologists resented the discovery’s announcement to the press before it was published in a scientific journal. Also, they saw Woese as an outsider, not a real biologist. They did not understand his unique experimental methods – Woese, shy and retiring, rarely appeared at conferences to publicize and explain his methods. Following the initial blaze of publicity, Woese continued his research – his search for truth. Meanwhile, the leading biologists he expected would be delighted by his discovery either shunned him or criticized his ‘crackpot’ work. Woese, forever the introvert, was hurt and angry. He took the rejection of his work personally and became moody and rather bitter about it. But he could also reflect rationally about the controversy. He had read Thomas Kuhn’s Structure of Scientific Revolutions, and he realized his idea was so radical that biologists would need to undergo a paradigm shift to accept it: the processes of rejection and ridicule simply had to be endured, however painful, until acceptance came. Only in Germany were his ideas quickly accepted. The first archaea conference held anywhere in the world was in Munich, Germany in 1978. Woese’s ideas were increasingly accepted internationally by the mid-1980s, and were fully mainstream by the 1990s. Extremophile is the general name for microbes that live in habitats deadly to most other organisms. Nearly all extremophiles belong to the Archaea. For example, Pyrolobus fumarii is an extremophile living at temperatures above 100 °C at hydrothermal vents in the ocean’s depths. Many archaea, however, are not extremophiles: they can be found in normal living environments, such as the waters of the oceans. 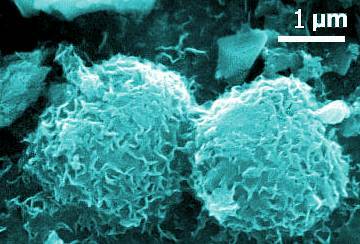 Some archaea have beneficial relationships with humans. For example methanogens such as Methanobrevibacter smithii are essential inhabitants of the human gut. Woese originally set out with the highly ambitious goal of discovering if all life on Earth had evolved from a single common ancestor. His research indicated to him that there may never have been a single, identifiable organism to find. 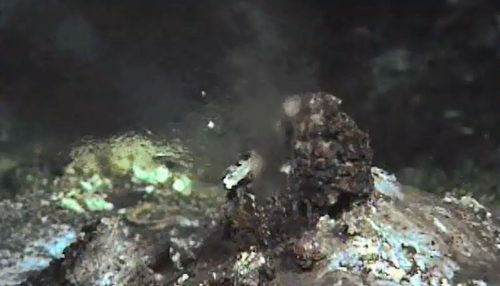 Current research by William F. Martin and his colleagues at the Institute for Molecular Evolution in Düsseldorf, Germany, based on genetic techniques, suggests the earliest ancestor of all life on earth was an extremophile, probably living in the vicinity of a hydrothermal vent. Scientists believe the ancestor of all life on Earth may have evolved at a hydrothermal vent. Here superheated water with dissolved sulfur compounds seeps into the deep ocean. Colonies of archaea and bacteria feed on the chemicals, supporting a food chain in a sunless habitat. 1983: Bergey Award for outstanding contributions to bacterial taxonomy. 1988: Elected to the National Academy of Sciences. 1992: Leeuwenhoek Medal – awarded once every decade for the greatest contribution to microbiology. 1995: Selman A. Waksman Award – awarded once every two years for excellence in microbiology. 2000: National Medal of Science for biological sciences. 2003: Crafoord Prize: awarded once every three years for biosciences – the bioscience equivalent of a Nobel Prize. In August 1953, age 25, Woese married Gabriella Haws. The couple had a daughter and a son: Gabriella and Robert. According to the biochemist Professor Harry Noller, Woese cared little for normal day-to-day life. He would leave his mail unopened for months. Eventually his wife convinced him she should work her way through his huge pile of unopened letters. She discovered in one of them, months after it was sent from Holland, that Woese had been awarded the hugely prestigious, once-in-a-decade Leeuwenhoek Medal. Woese continued with his research until well beyond his eightieth birthday. Carl Woese died, age 84, on December 30, 2012, in Urbana, Illinois as a result of pancreatic cancer complications. He was survived by his wife, Gabriella, and children, Gabriella and Robert. "Carl Woese." Famous Scientists. famousscientists.org. 30 Apr. 2018. Web. PNAS; Vol. 95, No.12, pp 6854-6859, 9 June 1998. I wish I could have met this man personally. I have admiration and wish I could emulate them in their persistent search for the truth – in all fields.